From football to footwear former New Zealand All Whites football captain Tim Brown is now a pioneer in sustainable merino footwear. Brown played for the All Whites when they qualified for the 2010 FIFA World Cup and retired from the game in 2012. He completed a business qualification at the London School of Economics and Political Science and then pursued his passion of designing a shoe that was simple, beautiful and made from natural materials. 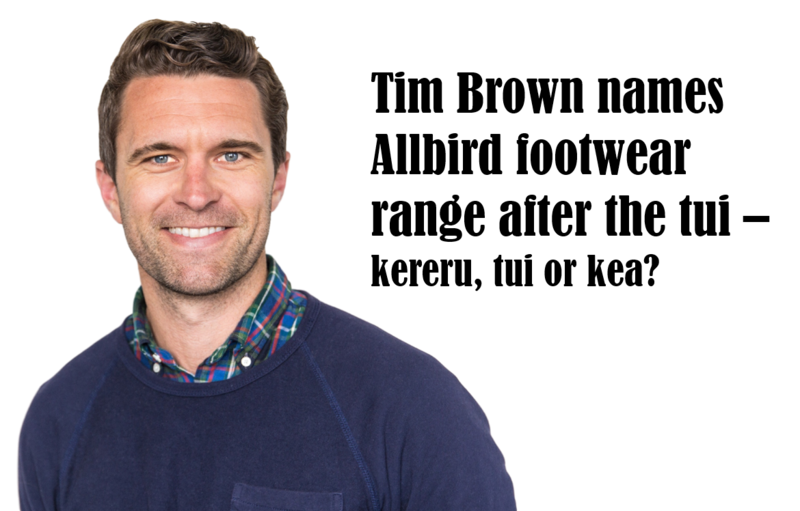 Brown continues to be inspired by New Zealand with his San Francisco based company Allbirds selling merino footwear online to consumers in New Zealand and the United States. Seven Wonders: we ask New Zealanders seven important questions like where did flat whites originate? Q. Pineapple lump, jet plane or jaffa? Q. Bungy jump, surf or hammock? Q. Cricket test, one day or T20? Q. Tomato sauce, vinegar or lemon juice? Q. Kereru, tui or kea? Q. Pharlap, pavlova, flat white: New Zealand or Australian? Q. New York yellow cab, Mumbai tuk tuk or London Underground? Mumbai Tuk Tuk every time.